I received free LeapFrog products in order to host the LeapFrog sponsored MommyParty. The opinions expressed here are my own. When I first read that I was going to have the opportunity to host a LeapReader party, the first thing I did was go to LeapFrog's website to discover that the LeapReader is $50. But it is worth every penny. The books you buy are just that, books. But the LeapReader reads the books and can recognize individual words. It also speaks dialogue when you click some of the images and even recognizes page numbers. It can play catchy songs that help the little ones learn to read as well. The LeapReader is amazing. My almost 3 year old daughter picked it up very quickly and we can take it anywhere. My daughter's friend who is a month younger than her loves it as well, so does my 6 year old niece, and even my 11 year old little brother! It is an amazing product. And now I know what Santa is bringing...more LeapReader books! My daughter loves Rapunzel/Tangled (she always says that's who she is when you ask her if she is a princess) and LeapFrog has a Rapunzel LeapReader book! Perfect! Everyone loved the "Monsters University" 3D book that was at the party. My daughter, although she hasn't seen this particular movie yet, feel in love with "Monsters Inc." so this is her favorite book. I am in love with the variety of LeapReader books LeapFrog has available for purchase. We were also sent a Get Ready for Kindergarten book that she is really enjoying as well. 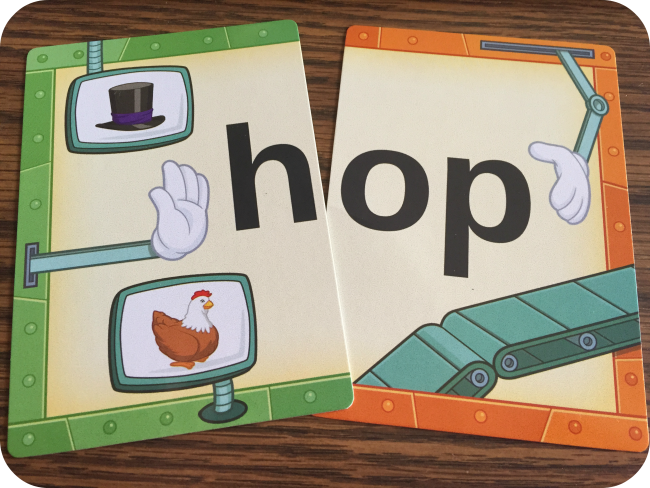 We also received some pretty cool interactive flash cards that transform the letter into words. My daughter loves flash cards and is loving playing with these since they "talk" to her. We also received the LeapFrog LeapReader Deluxe Writing Workbook: Learn to Write Letters with Mr. Pencil . This is perfect for homeschooling and I can't wait to dig into it when the girls get a little older. The LeapReader can sing songs and play games without any books as well. It has a USB port so you can easily download any audio to the books you buy. It also has a place where you can plug in head phones, say if you were in the car so your child can still enjoy the fun without distracting the driver. We also received some fun coloring sheets in our party pack, which if you "like" LeapFrog on Facebook, they frequently share free coloring sheets for you to download as well! You can also Follow LeapFrog on Twitter or Subscribe to LeapFrog on YouTube. We had so much fun at our LeapReader Party while learning so much as well! This makes a GREAT Christmas gift or for helping your child get a head start on learning to read and write for school! We had the leap frog junior and the one for the bigger kids but I think that this one must be a little different. My son loves it! The one for the bigger kids plays games and activities and it is very entertaining. This one can play games and songs as well. It looks like a regular pen. My husband thought our daughter was coloring in a book when he came home from work. It's such a neat teaching toy! We love it. This is a cool toy! I love when they can learn while having fun - tweeted!! What an awesome package! I love leapfrog products!! Oh wow! What a fun party! Wish we had all those fun toys! I love this because I think it is very important for us to teach, and stimulate or children or the children we care for. We are responsible for their development. We have the LeapPad 2 but not this LeapReader. It looks really great for pre-readers and early-readers! WOW! this looks amazing, I would LOVE to share this with my daughter, right now she is kind of young but will definitely be using this! Getting to have fun while your learning is so important for little ones! My youngest daughter is almost 2, but I'd love to get her something like this now.